Our Classic Mason Jar has upgraded, it now includes a shaker top! 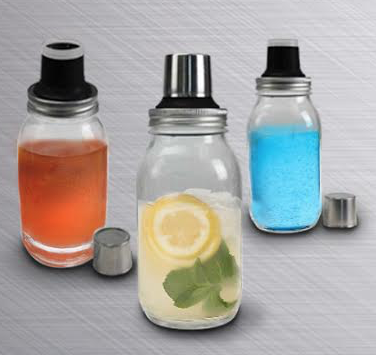 Now you can make your favorite drinks right in the Mason Jar Shaker. The Mason Jar Shakers are 32 ounce jars with lids that fit both the 16 ounce and 32 ounce jars.